George Wesley Bellows was a prominent American artist in the late nineteenth and early twentieth centuries. 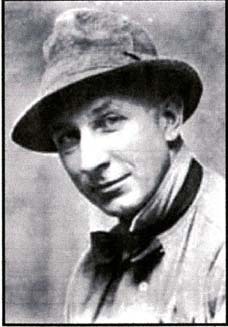 Bellows was born on August 19, 1882 in Columbus, Ohio. From 1901 to 1904, he attended The Ohio State University and excelled at baseball. Rather than pursuing a professional baseball career, Bellows left Ohio State and studied art at the New York School of Art under Robert Henri. Henri advocated realistic paintings that conveyed a social message. Bellows adopted many of Henri's ideas. In 1906, Bellows opened his own studio in New York City and began to paint realistic scenes of life in the city. His subjects included boxers, street children and landscape scenes. In 1908, Bellows received the Hallgarten Prize of the National Academy of Design. This was a prestigious award in the art community. Bellows became quite well-known.. The following year, the National Academy honored Bellows and elected him to its ranks. In 1910, Bellows began to teach at the New York Art Students League. In 1919, the artist became a teacher at the Chicago Art Institute. Belllows illustrated some works by H. G. Wells and was a successful book illustrator. His artistic commentaries on society had appeared in The Masses and in a number of other magazines.. Bellows was known for his opposition to President Woodrow Wilson and to the Espionage Act passed during World War I. Bellows died on January 8, 1925 from acute appendicitis. At the time of his death, George Bellows was one of the leading artists of his generation.